This DIY wedding centerpieces project is especially for the DIY-type of bride. 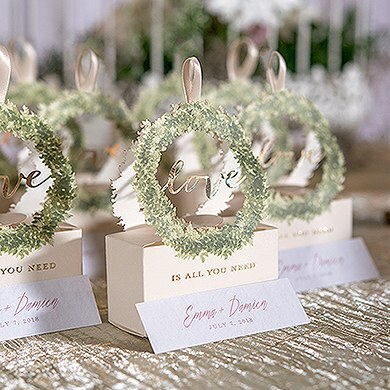 It's ultra simple yet will make a splendid display on your reception tables or guest book signing table. Copyright © 2007-2011, Things Festive Wedding Blog. All rights reserved. Oh wow! These are fabulous. I would love to link to this project if you didn't mind. What a great how-to. Rachel, thanks for the fab feedback on the DIY wedding centerpieces. You're welcome to link to this project. Is it possible for me to receive the link to this project as well? 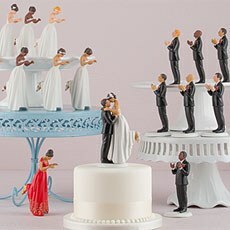 I would LOVE to do this for my wedding!! The link to the original source for the project is given above within the project steps. Did you use real or fake flowers??? Real flowers were used for this specific project but you could probably use silk flowers as well. Just use floral foam for silks. where can you find those metal cages to put the floral foam in? Hi there, you should be able to find the metal containers at any floral supply shop. how long do the flowers stay fresh looking since they are not in water?? The flowers are actually in water since the floral foam is soaked with water before the flowers are inserted. So that other readers may refer to your comment, please do not sign "Anonymous". Please sign your posts with your name or a pseudonym (nickname) by selecting "Name/URL" from the drop-down menu. Follow Things Festive's board Wedding Invitations on Pinterest. Copyright © 2007-2014, Things Festive Weddings & Events. All rights reserved. Simple theme. Powered by Blogger.